Sharp is a full service supplier for the aerospace, automotive and defense industries specializing in the design & construction of fixtures and tooling. Located in Michigan, USA, we are AS9100 and ISO 9001 2008 certified and use the latest technology to manufacture high quality products for customers worldwide. 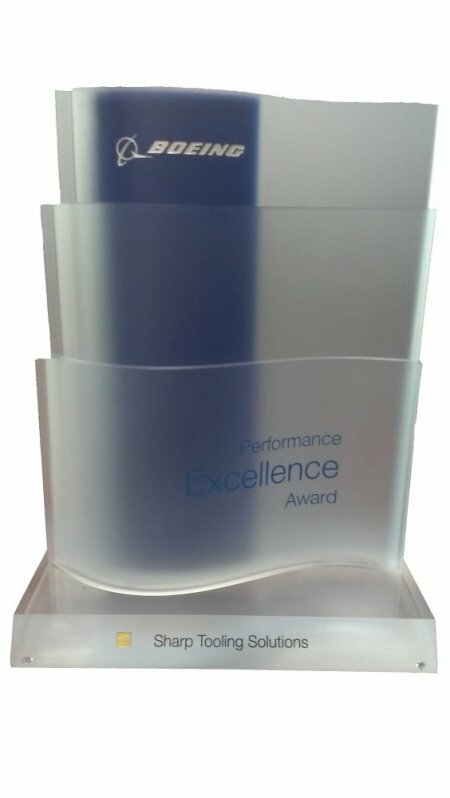 Partnering with Sharp Tooling Solutions means you will benefit from world-class engineering, manufacturing, certification and delivery, on time and at competitive prices. Sharp Tooling Solutions received an International Traffic in Arms Regulations (ITAR) registration from the US Department of State, Bureau of Political-Military Affairs. Achieving ITAR registration is evidence of Sharp’s commitment to comply with policies that control the export and import of defense-related articles and services. "Preferred provider of fixtures for the world's largest automotive Manaufacturers." "Trusted name in defense and aerospace for nearly two decades." "A leading supplier of quality fixtures, Tooling & Models for the aerospace industry." 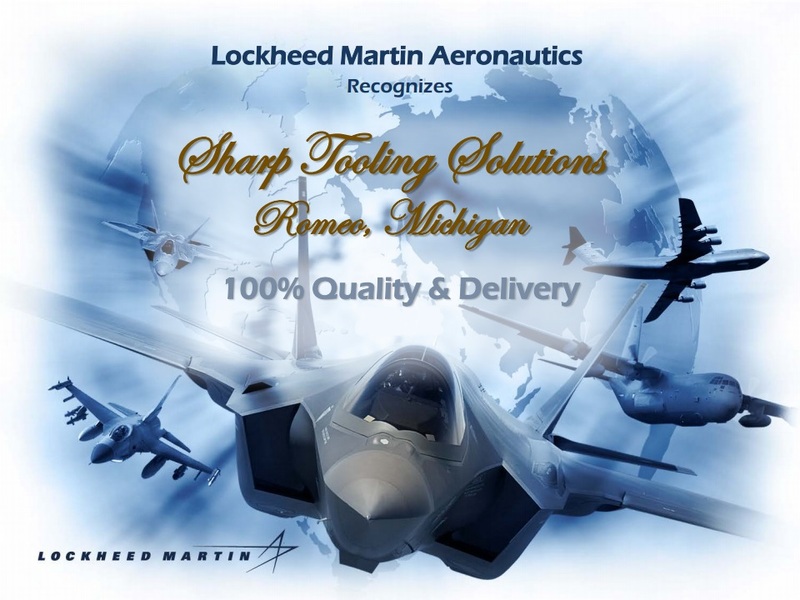 Sharp Tooling Solutions successfully demonstrated its commitment to excellence with 100% on-time delivery and quality of their products to Lockheed Martin Aeronautics. At the Boeing Global Supplier Conference in San Diego, CA. 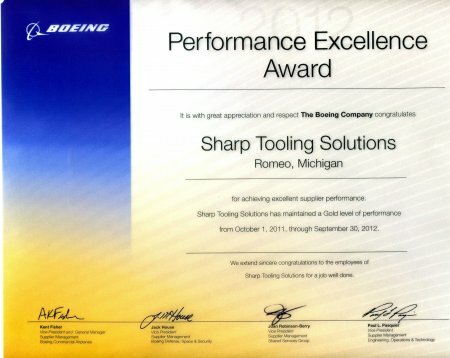 Sharp Tooling Solutions was honored to receive the Gold Level Boeing Performance Excellence Award. The contents of this webpage are Copyright © 2019 Sharp Tooling Solutions. All Rights Reserved.